High Voice. Hal Leonard Vocal Collection. Christmas and Sacred. Songbook (softcover). With vocal melody, lyrics and piano accompaniment. 160 pages. Published by Hal Leonard (HL.740168). ISBN 0634032852. 9x12 inches. Arranged by Joan Boytim. 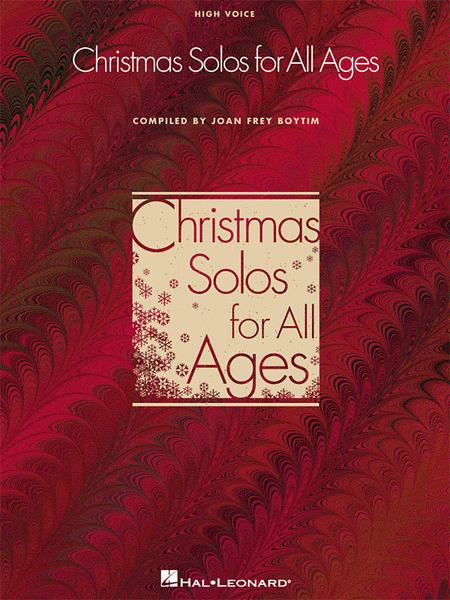 The most practical, all-around Christmas collection for singers, with 45 essential solos for the season. There are traditional carol arrangements, art songs and traditional Christmas songs, and three of the greatest of all popular Christmas standards. All songs are in English. Available in three keys, this collection is perfect literature for teaching voice. Songs include: As Lately We Watched, The Christmas Song (Chestnuts Roasting on an Open Fire), O Holy Night, White Christmas and more. nice piano accompaniment, to art songs, to African-American spirituals, to folk songs from around the world. I have a large filing cabinet drawer full of Christmas solo and ensemble music, and this is by far my favorite collection. 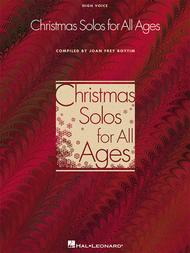 The book is divided into three sections: Carols, Art Songs/Traditional, and Popular (old popular, by the way). There are really beautiful arrangements of tried and true favorites, as well as many songs that were new to me. It also has a good mix of light hearted pieces and thoughtful, poignant spiritual pieces. I think if you're a serious singer and have this book and a collection of Christmas oratorio pieces, that's all you need. This is a goldmine and a must-have book for someone who loves to sing! A bunch of easy listening stuff suitable for not to bright audiences. I wont use it. 32 of 64 people found this review helpful. I've been singing for years and I'm prefessionally trained. I found this a surprisingly nice book with some more obscure pieces in it. the arrangements are very nice. It's not your normal book of carols. I'm very pleased with this purchase. is a great deal for the price! 29 of 58 people found this review helpful.